Laminate flooring is an attractive, hard-wearing surface. Perfect for both home or office, it has an popular wood appearance, that’s also easy to clean. Our designs come with grooved and textured finishes to achieve the real wood effect. Come and discover our range of shades, from Limed Oak to Walnut. We also provide a selection of laminate tiles. Their stone and marble designs are the perfect touch for modern kitchens and hallways. Our pieces of laminate flooring click together individually. So if you need a replacement piece, there’s not need to replace the entire floor. We can also supply and fit colour matching scotias, door trims, skirting boards and stair nosings to compliment your new laminate floor. We also have a fabulous range of underlays that are designed to reduce sound and are also suitable for underfloor heating. We get next day delivery on all our laminate flooring ranges ! For more information on laminate flooring in Sheffield Get a quote online now or call Surefit Carpets in Sheffield on 01143 217511. 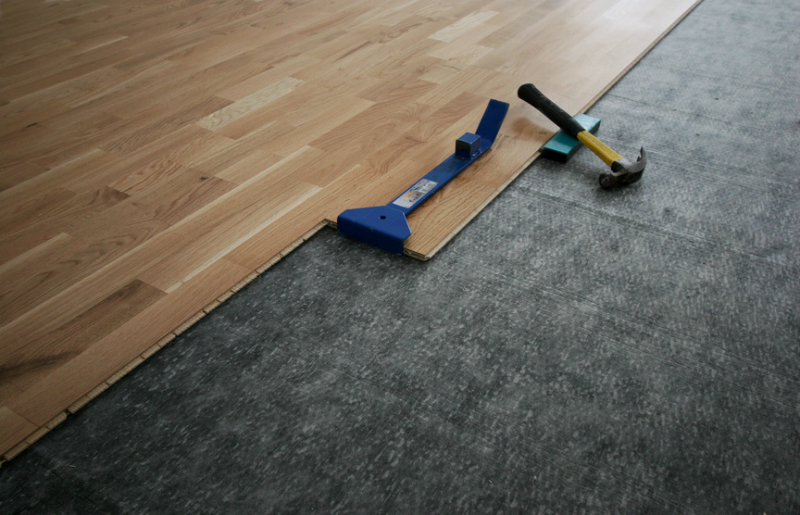 We also have a guide for measuring your own rooms for laminate flooring !